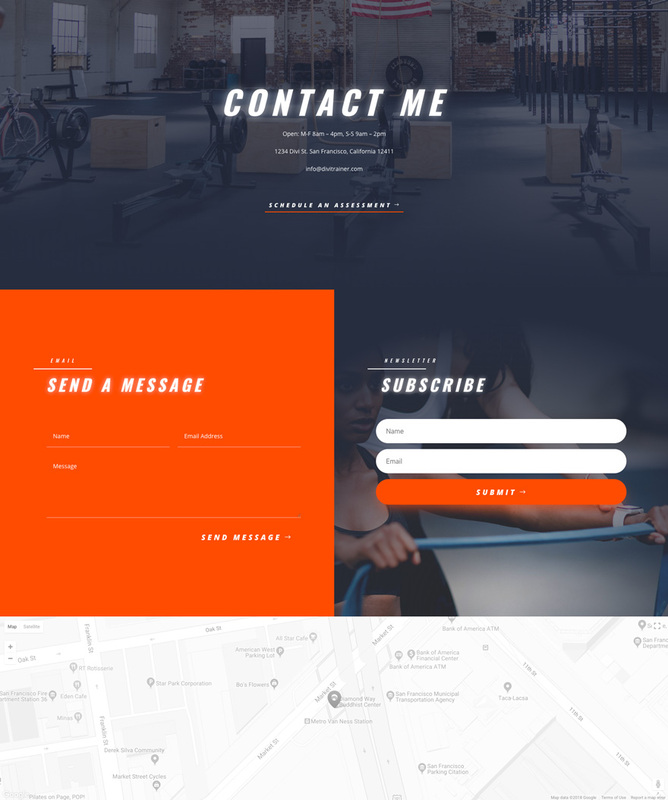 For the first layout this week, we have for you a powerful Personal Trainer Layout Pack. This layout Pack has an energetic design combined with an impressive and practical content structure. The use of large glowing fonts and the striking background colors really grab your attention. All of the pages are specially crafted for personal trainers seeking to promote their services and memberships online. And with dedicated pages for class listings, the pack really has everything needed to get a beautiful site online in no time. 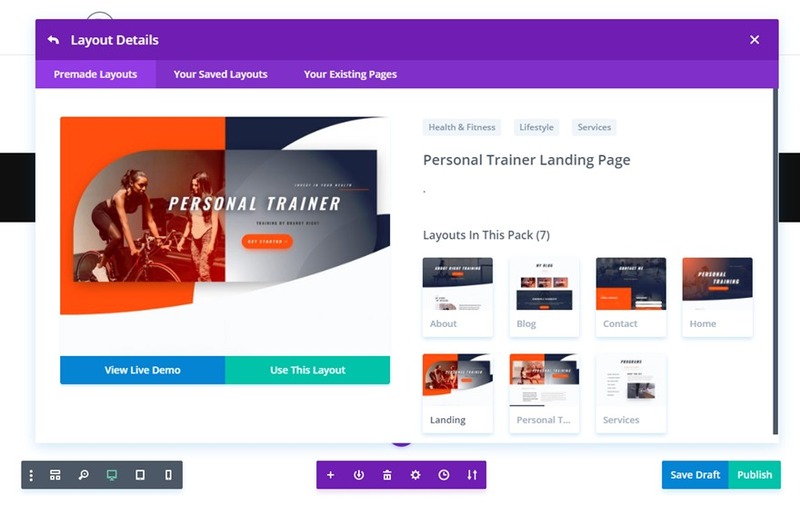 The Personal Trainer Layout Pack is one of the first to feature the new hover options that are now available in Divi. 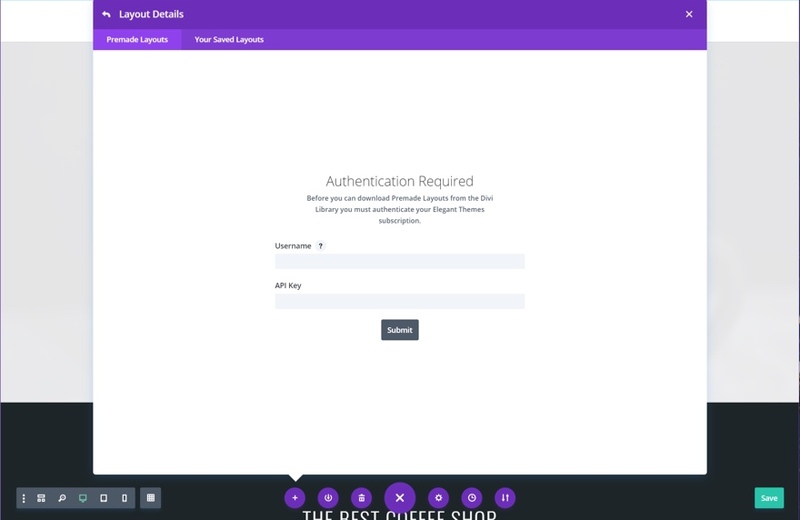 The hover effects used are subtle but add some pretty unique and beautiful microinteractions that you are going to love. The color scheme used for this layout is superb and the creative combination of background images and border shapes produce really creative header designs. My personal favorite features are the way background color gradients are used on featured elements and the way text shadows are used to make large text designs. To access your new layout, simply activate the Visual Builder when editing a page and look for the “Load From Library” icon in the page settings bar (it looks like a plus symbol). Click this icon to launch the Load From Library popup. Under the Premade Layouts tab, you can easily find the new layout by scrolling through the list of layout packs. Once you find the Personal Trainer Layout Pack, click on it. You will see all the individual layouts included in the pack. Select the layout you want for to use and then click the “Use This Layout” button. 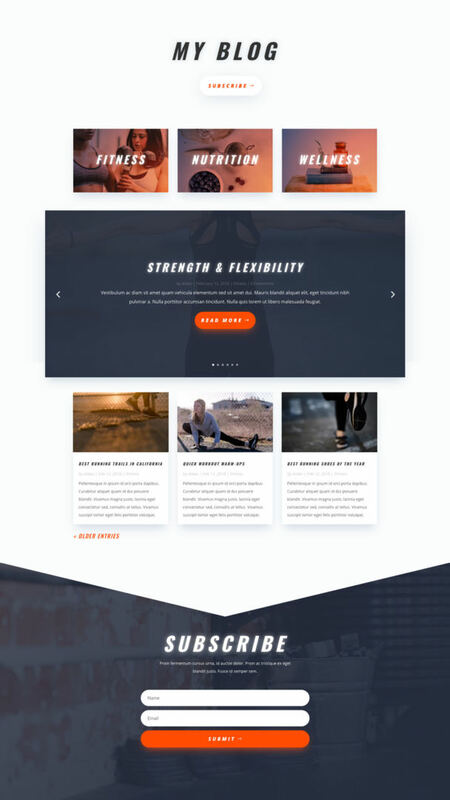 The post Get a FREE Personal Trainer Layout Pack for Divi appeared first on Elegant Themes Blog.